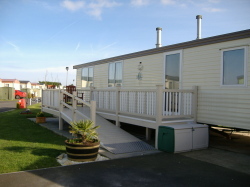 Able-Less Able or Disabled, Luxury adapted Holiday Caravan. 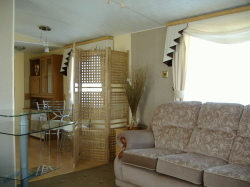 Well maintained luxury caravan, (adapted for disabled use)2 bedrooms, sleeps 6. Clean fresh bed linen and tea towels provided. 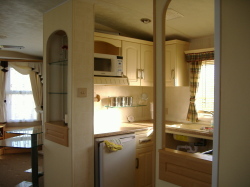 Fully functional kitchen with extra's. TV/DVD player, freeview box, stereo/CD player. 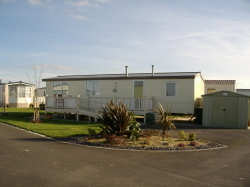 Double parking adjacent to the property and access ramp.